NMF Industries has vast expertise in the manufacture of cladding in various types of metal, and aluminium is our unrivalled speciality. We perform conventional tasks using tried-and-tested solutions, but we also like to be challenged to come up with innovative solutions that require us to incorporate our experience and knowledge of materials. 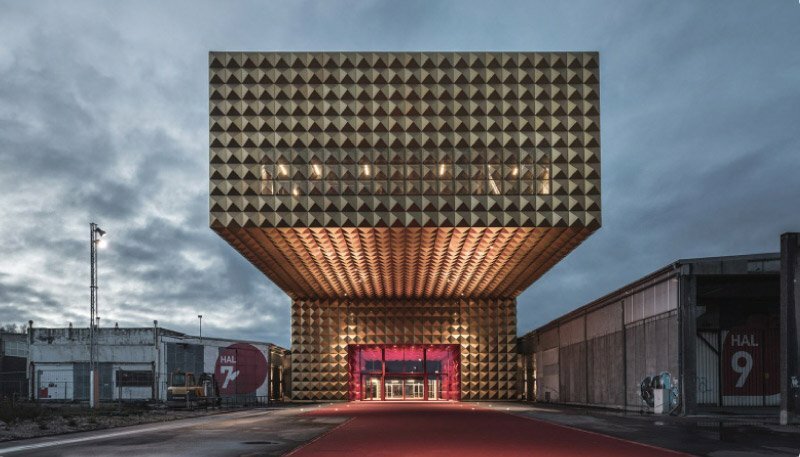 The architect’s proposal for the Roskilde Ragnarock Museum involved a magnificent façade whose basic elements are metallic pyramidal shapes. NMF Industries had the pleasure of implementing the proposal in close cooperation with both architect and developer. The dialogue included how we could weld a joint without rendering it visible after being anodised. This also applied to the choice of aluminium, the color, and the entire anodising process. 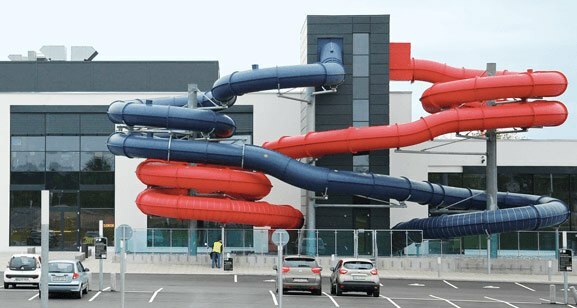 The special, rapid suspension solution – for which NMF submitted a proposal – vastly optimized the client’s project. This involved saving large amounts of time at the construction site itself, because logistics and assembly went perfectly when the 190 variants of a total of 3,000 pyramids had to be mounted. 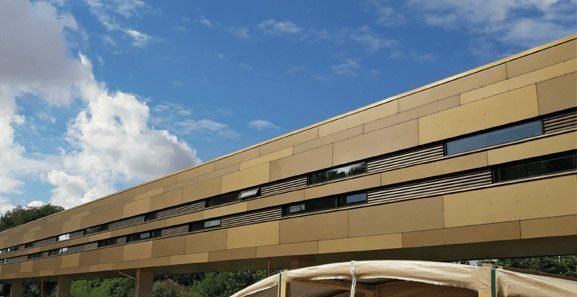 NMF Industries provided the cladding for a therapeutic environment covering 40,000 m2 at the new Psychiatric Department of Vejle Hospital. 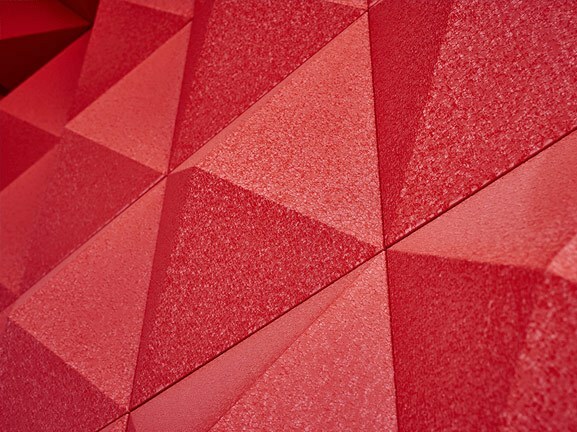 In close cooperation with the architects, NMF Industries transformed the cladding concepts for Randers’ new indoor swimming baths into reality.